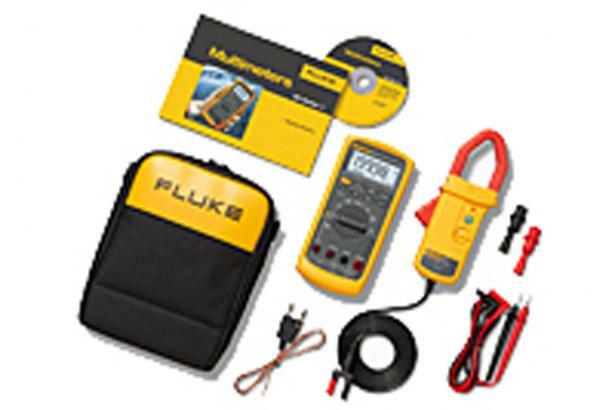 This combo kit is based on the Industrial Fluke 87V multimeter. It includes the AC/DC current clamp i410 and the C115 soft case. Save over 28% compared with the individual purchase price of the multimeter, current clamp and soft case. The Fluke 87V has measurement functions, trouble-shooting features, resolution and accuracy to solve more problems on motor drives, in plant automation, power distribution and electro-mechanical equipment. The C115 Soft Carrying Case includes two padded pockets for protection of two test tools, such as the 87V DMM and the i410 Current Clamp and also a pouch for test leads and other accessories.